Can it be? Tiny Snowman! 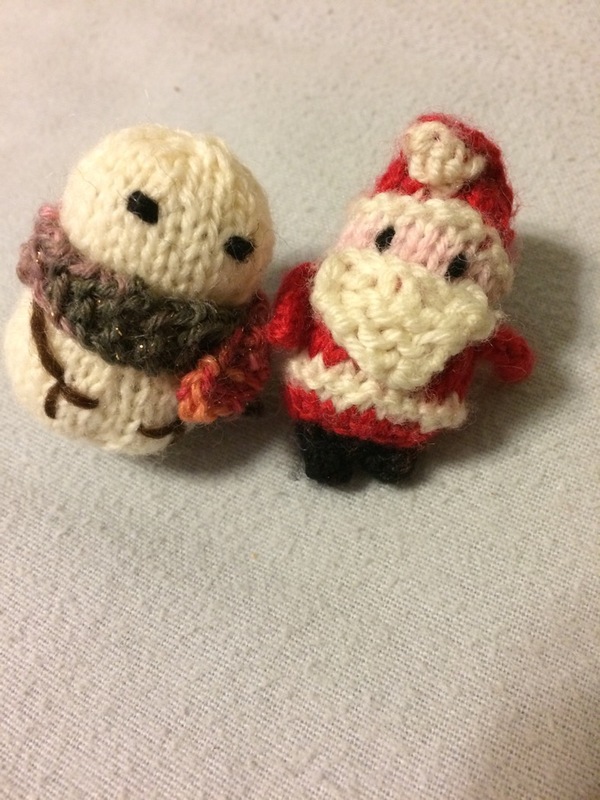 Tiny Santa’s friend, Tiny Santa #2 was given to Nanna as a Thanksgiving present. So Tiny Santa was getting lonely. He was excited to meet his new friend Tiny Albino Peanut. Oh Tiny Santa, don’t be silly. A peanut is not a good friend. I’m not done yet. 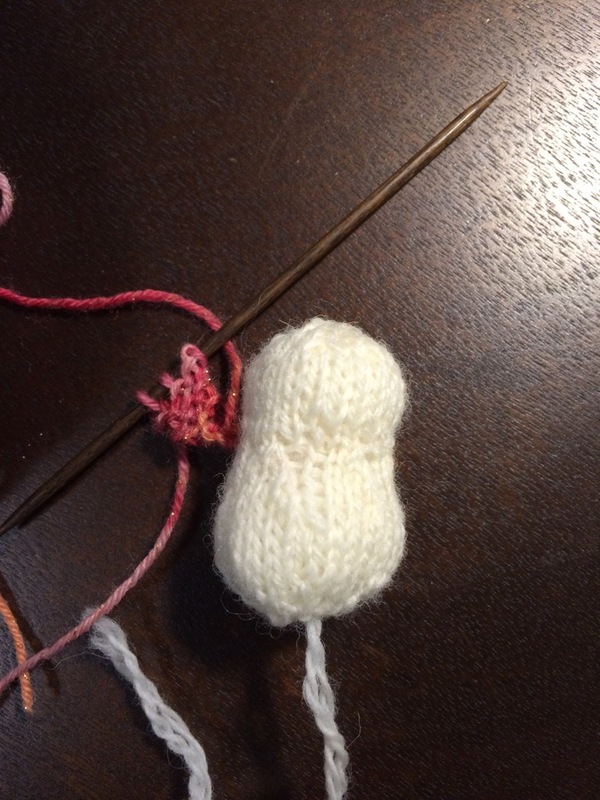 Eyes, scarf and arms make Tiny Snowman! Oh, the cool weather adventures they will have together. You must have the patience of Job to produce these little bitty things. They don’t really take very long, but you have to pay attention the whole project. I think I’m done now. Back to making normal sized objects. If only my commute was on public transit! I’d have fleets of tinys.